An "electric" summer kids program beginning May 8th, 2019 and continuing through August, 7th 2019. Ages 3-6th grade are welcome to be a part of this ministry. Email mdecker@faithpb.com with questions. We're excited to have your child join us! Please complete this form and press "Send" when you're done. 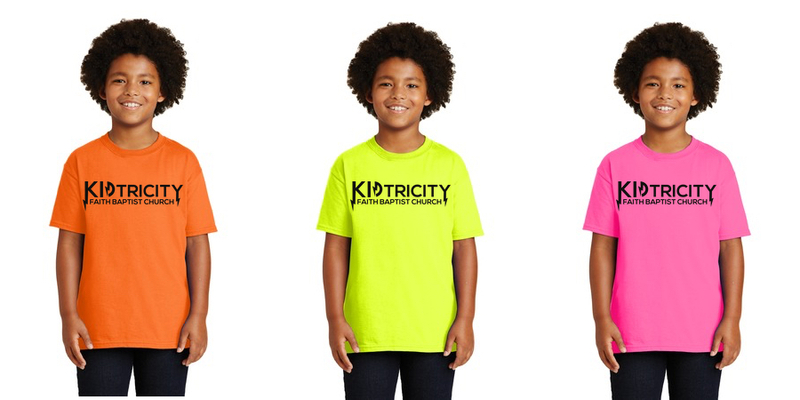 KIDTRICITY T-shirts are $6 each and are optional. You may order multiples if desired. Payment due when shirt received.